Manaslu circuit trekking is one of the most popular virgin trekking destinations in Nepal Himalaya. Manaslu circuit trekking was officially opened to trekkers in 1991, but mountaineering expeditions have long had access to the area. Since Manaslu circuit was opened for the trekkers numerous trekkers trekking in around Manaslu area with full of satisfied. The highest point of the Manaslu circuit trek is called Larkya (Larke/Larke) La Pass at 5160 meters above sea level, the Pass is not difficulty but one of the longest passes trekking in Nepal. Manaslu circuit trekking trail is in restricted (Controlled) area, required special trekking permit as well as Annapurna and Manaslu conservation area entry permits to trekking in this area which is only possible to obtain through the Nepal government registered trekking agencies. Manaslu circuit trek is normally starts from Arughat Bazaar or Soti Khola. The most of road between Kathmandu to Arughat and Soti Khola is off-road so better to use four-wheel jeep to go by overland. The Manaslu circuit trek is ends at Bhulbhule close to the Besisahar, it is starting point of famous Annapurna circuit trek. If you are limit on time it is also possible to take off-road drive from Dharapani to Besi Sahar in single day except in monsoon season. The Manaslu, Known as “three peaks”. The trek passing through a huge precipitous valley to the contrasting world of Sama, crossing snow-covered Larke La (Larkya La Pass) and descending to the Marsyangdi Khola. As it is a long course, you must be in good physically and have extra days for rest during the trek. Sama, before you cross the pass, it is ideal for this; you can enjoy strolling about the glacial lake and Pugen Glacier there. 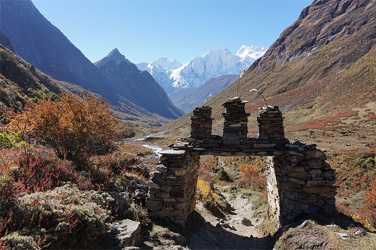 Manaslu circuit trek is offers a unique opportunity to experience relatively "untouched" region of Nepal. 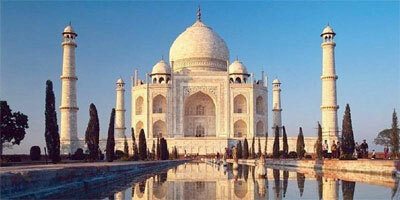 It provides spectacular beauty along the border of Nepal and China. The trekking to around Manaslu provides fantastic mountains scenery, spanning altitudes from 375 meters to 5160 meters. A diverse range of ecosystems and ethnic cultures, and a trail that puts one physically closer to Tibet than any other trek in Nepal. Manaslu area people go to the Tibet for buying necessary things such as rice, clothes and Tibetan beer, etc which is cheaper compared to buy in Nepali market. After landing at the Tribhuwan International Airport, we will be greeted by a representative of Alpine Adventure Club who will drop us off at our hotel. We then check-in at the hotel, freshen up and if time permitted visit our office to pay the rest of bill, collect the information and signup the trip agreement or not enough time office authorize person come to your hotel to collect the payment. After breakfast, tour guide will take to you for full day sightseeing in historical monuments sightseeing places including swayambhunath known as monkey temple, Kathmandu durbar square & Patan durbar square then drive back to Hotel. We take an 8-9 hrs bus ride to Arughat Bazaar in Gorkha district. The village of Arughat is in two parts, on opposite sides of the Buri Gandaki. Arughat Bazaar is large, clean and prosperous with hotels and shops selling cloth, food and hardware etc. Today we trek from Soti Khola to Machha khola (Fish river in Nepali). Machha khola is a village situated above a stream. Today’s you trek over flat leveled path mostly through forest of pine, rhododendron and others. While walking, you cross few bridges and can see villages at far distance. There are few houses at Deng. From here, you can enjoy a pretty waterfall lying at some distance. Deng is famous for its potatoes, buck wheat, barley, wheat, cabbage, spinach as people are mostly involved in agriculture. Today we switch back steeply up to the small, poor village of Lana, where the women usually have their looms out. After climbing through lovely woods of pine and crossing a small bridge, we reach Bihi Phedi, where there is a good shop and views of Kutang Himal, and start to see mani stones, a sure sign that we are entering another of the tiny Tibetan footholds that mark the high Himalayan places. We have three or four hours of trekking ahead of us, twice crossing the large Bhudi Gandaki River and twice over smaller tributary streams, staying mostly high with many ascents and descents as we walk through the gorge, all the time enjoying spectacular views. Eventually we reach at Ghap, where we stay at the night. Today we ascend for an hour through a dense, cool forest, crossing the Bhudi Gandaki River once on a wooden bridge, climb on smooth, stone steps and eventually arrive at Namrung, at 2540 meters at the Tibetan-run lodge. As we gain altitude, we reach alpine territory and are treated to increasingly broad mountain views. Namrung village is the start of Nubri, the region of purely Tibetan inhabitants speaking a dialect of western Tibet. A few hours later, we reach the village of Lihi at 2840 meters, a substantial altitude gain. 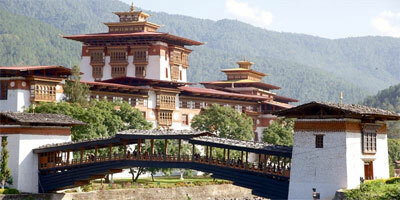 Lihi houses an old gompa, and is spread along the trail with its billowing fields of barley, guarded by "bear watches". We are climb gently now; soon we cross a large stream flowing down from the Lidanda Glaciers and reach the picturesque Tibetan village of Sho at 3000m, where we stop for lunch. After an hour we reach at Lho, where we are treated to breath-taking views of Manaslu itself. We set up camp in Lho, Sunset and sunrise from here excellent and visit the small Gompa. Today we pass the new gompa and then ascend through light forests next to a small river to reach the high, idyllic Tibetan settlement of Shayla, where the villagers are often out in the fields. Another few hours of trekking through classic alpine scenery leads us past Tibet grazing settlements, the trail to Pung Gyan Gompa off to the left, and eventually past checkered fields of barley and potato to Sama Gaon. 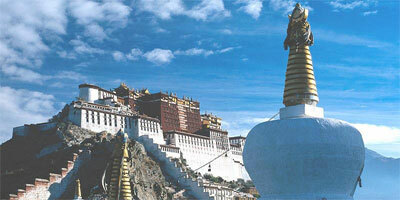 Sama The people settled here from Tibet over 500 years ago. The Tibetan villages in this region of Manalsu have distinctive entrance gates (manes), and they maintain an active trade with their co-religionists in Tibet over several high passes nearby. If the weather is good, you will see the village women weaving wool from Tibet into gowns - which are then traded back to Tibet. Take the afternoon to hike up to the old gompa settlement above town, and to wander the streets of the fascinating Sama Gaun( village). Today we acclimatization in Sama Gaun. Walk to Pung Gyen monastery (Gompa) 3870 meters or day hike to Birendra Lake and Manaslu Base Camp, it is nice day trip from Sama Gaun. Today offer incredible mountain views, past craggy woods of Himalayan Birch, during the walk up to Samdo, an easy three hours away. En route we pass the long mani walls at Kermo Kharka, after which we spot the entrance chorten of Samdo high on a bluff. We descend back to the Bhudi Gandaki and cross a small bridge before another short climb to the "kane" entrance of Samdo. There is a small home gompa in a house mid-village which we can visit during our last village, a puja being held by several of the reincarnated lamas living in the Samdo. Today we follow the old trade route towards Tibet, cross a bridge, and climb through the ruins of Larkya bazaar, one of the trade markets that flourished years back. After about three hours of climbing past glaciers, with increasingly awe-inspiring panoramas, we come to the campsite at Dharamsala, the high camp for the Larkya La pass, where we have lunch and gaze out at the views. You'll really feel the altitude and the cold here, so enjoy a more leisurely afternoon and keep warm. We'll have an early dinner in preparation to cross the Larkya La Pass (5160m) tomorrow. After a short climb above the Dharamsala , we reach the ablation valley on the North side of the Larkya Glaciers where we have views of Cho Danda and then of Larkya-La. We continue across the moraines of the glacier, often through the snow, making a gradual ascent which becomes steeper only in the last section to the pass, which should take us about four hours to crest. The views from the top of the pass are wonderful; a mountain panorama of Himlung Himal, Cheo Himal, Kangguru and the huge Annapurna II, equally stunning from both sides. After hanging our Tibetan prayer flags, get ready for a steep, often slippery drop to a trail following the glacial moraine. We'll lunch below the pass on smooth rocks before continuing the descent, still three hours to go to our campsite. A boulder-strewn descent brings us, finally, to Bhimtang. Enjoying some great views of Himlung Himal (7,125m), Cheo Himal (6,820m) and Mt Manaslu from the ridge at Bimthang, we descend to a huge pasture and walk past it to cross a bridge over the Dudh Khola (river). We now move ahead through the pine and rhododendron forests. The trail follows the narrow valley to the settlement of Karche (2785m). Walking across the fields, we make a steep climb from to a ridge. The trails now drops down from a ridge to a river bank until we arrive at the village of Gho. As we make the move from Gho, we cross a bridge over the Dudh river and continue trailing alongside the river bank. We descend through scrub forests vividly noticing the walls of the Marsyandi Valley and arrive at the village of Thonje. Passing by the police checkpoint, we can now see the houses of Dharapani becoming more and more distinct. A pleasant walk from here will get us to our campsite in Dharapani. We are at Dharapani means that we have actually entered the Annapurna circuit section. This day we will follow the trail along Marshyangdi river. Cross this river approximately four times, walk along narrow valleys. After walking for about 6 hours from Dharapani we will reach Jagat. This day we will walk for about 7 hours. On the way we will cross Marshyangdi River. Walk up to Bahundanda (1300 m) and walk downhill towards Bhulbhule. 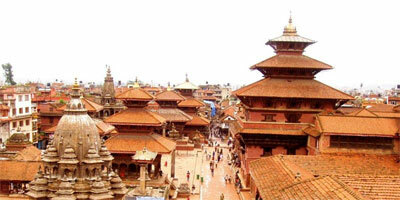 This day we will drive by private vehicles 6 hours and local bus 8 hours to reach Kathmandu. Drive from Bhulbhule to Kathmandu, It is a picturesque to get back to Kathmandu along the bank of Marshyangdi and Trishuli rivers with splendid views of green hills, mountains, farming terraces and villages at both sides of road. Drive through the Besi Sahar, Dumre, Muglin, Malekhu, Naubise and Thankot then reach at Balaju bus stop from where take another vehicle to go your hotel.